Because it has been a rainy December, this inexpensive and fun activity is great for indoor fun time with the whole family! 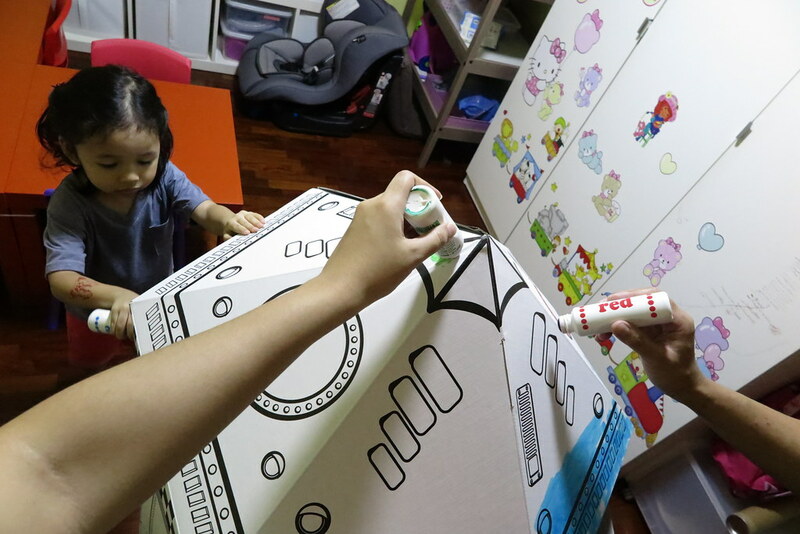 May we introduce our new found hobby for our family… Painting and decorating our very own Rocket! Few weeks ago, Santa came knocking at our door with this amazing craft project which Ayra couldn’t wait to start working on. 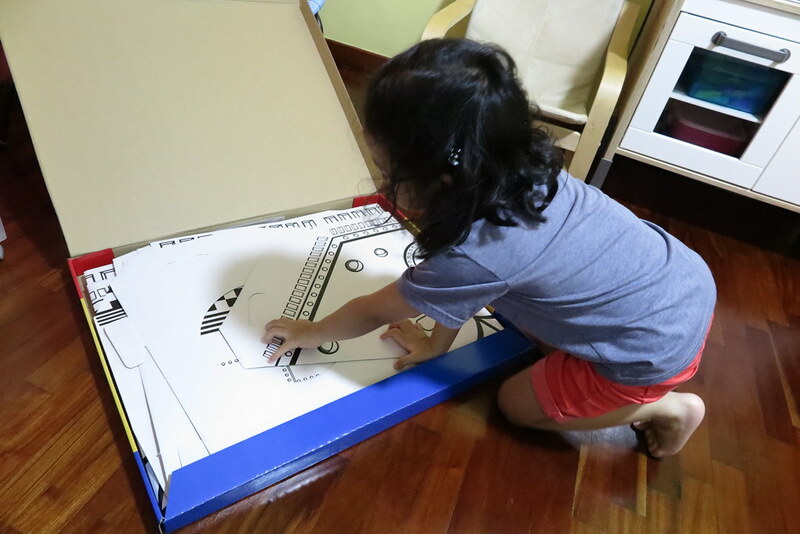 When she saw the flattened box, she demanded us to setup her “Spaceship” immediately. 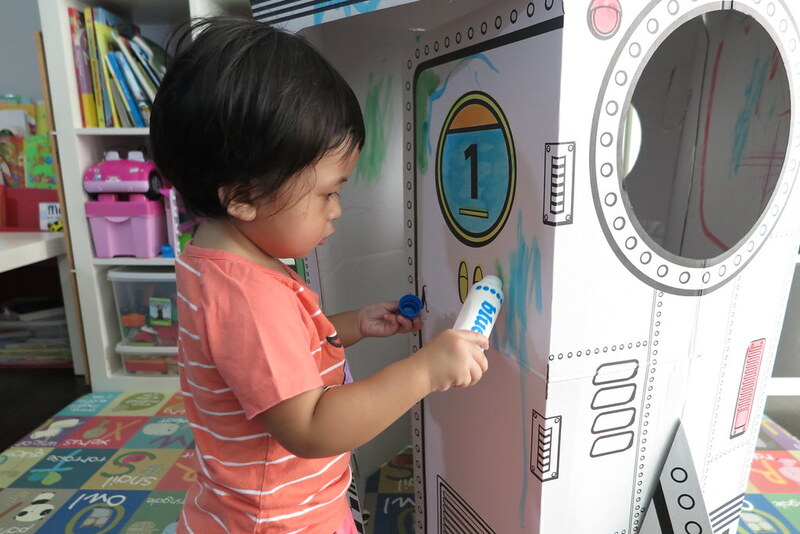 With our Do-a-dot paints, we starting painting our rocket. It was fun and we got to do something together as a family. 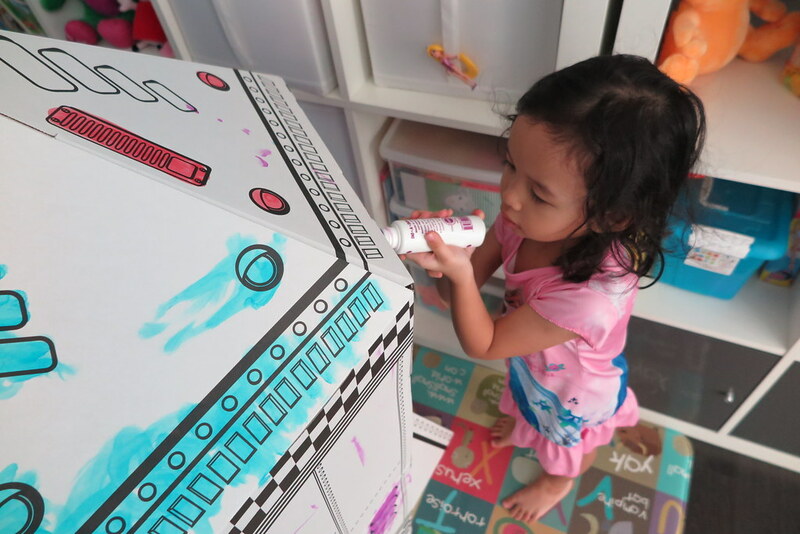 Ayra was enjoying the painting and dotting all over her own rocket. 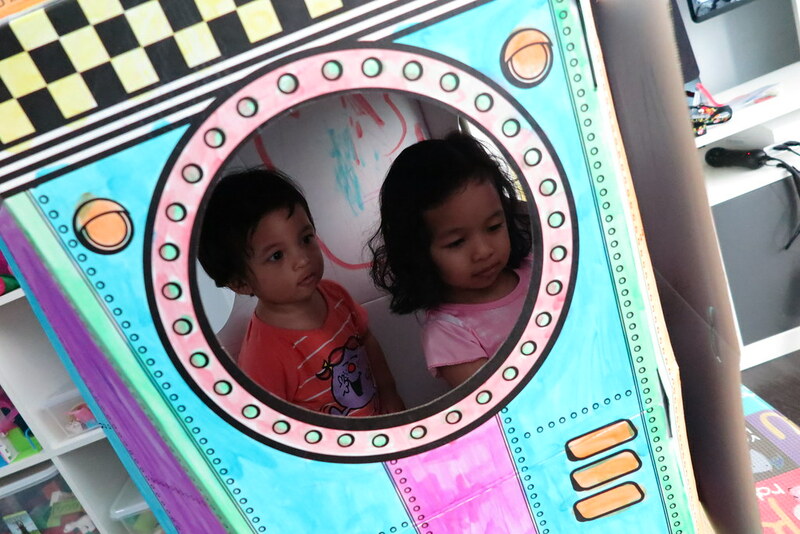 The first weekend when Zara came back, she was super excited to see the rocket too. Without any introduction nor help, she managed to get in and out of the rocket on her own and was totally enjoying herself with it. Peek-a-boo! she said. We continued painting the rocket together and Zara helped too. I must say, painting this rocket with Do-A-Dot paint is no joke at all! Our hands and fingers get numbed from all the squeezing and dotting after 20 minutes. It took us quite a while to completely paint the rocket. The girls were more interested to play in the rocket than to paint on it. 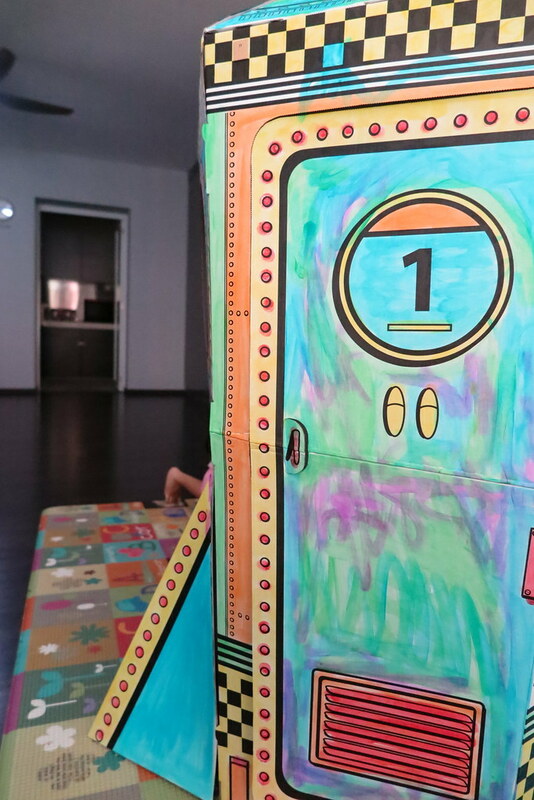 They even doodled inside, this is probably a better way for kids to let loose their creativity and just doodle and draw on these cardboard; without having to worry they destroy any furniture or walls with paints and colours. 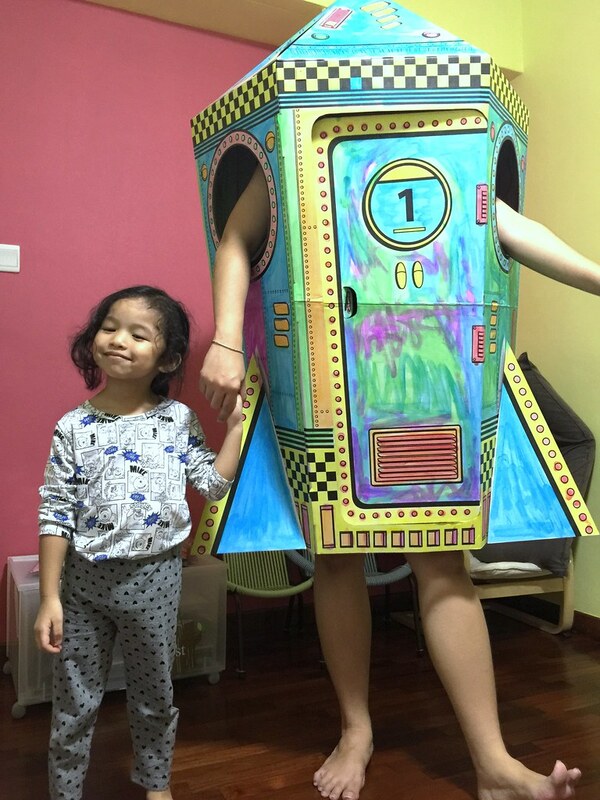 The rocket is big enough for both our girls to fit in. Or put in a chair for one child to pretend to be an astronaut blasting into space in her own rocket. 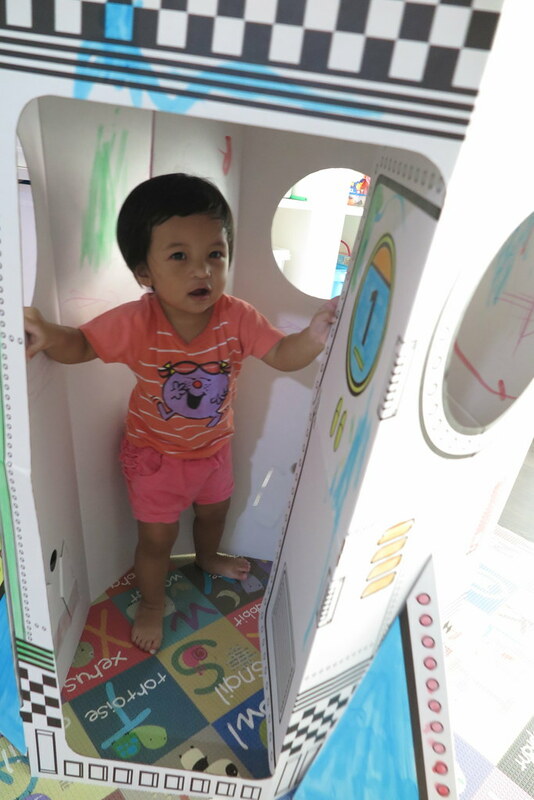 Zara is super loving opening and closing the door of the rocket! After a week or so of on-and-off painting with our Do-A-Dot paints, we finally completed our rocket! Isn’t it pretty? 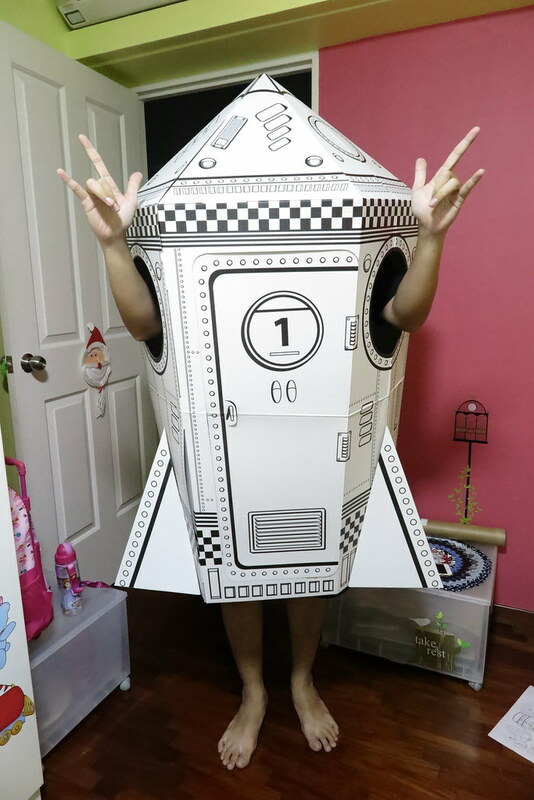 Let Mummy Rocket show you how to pose in it. 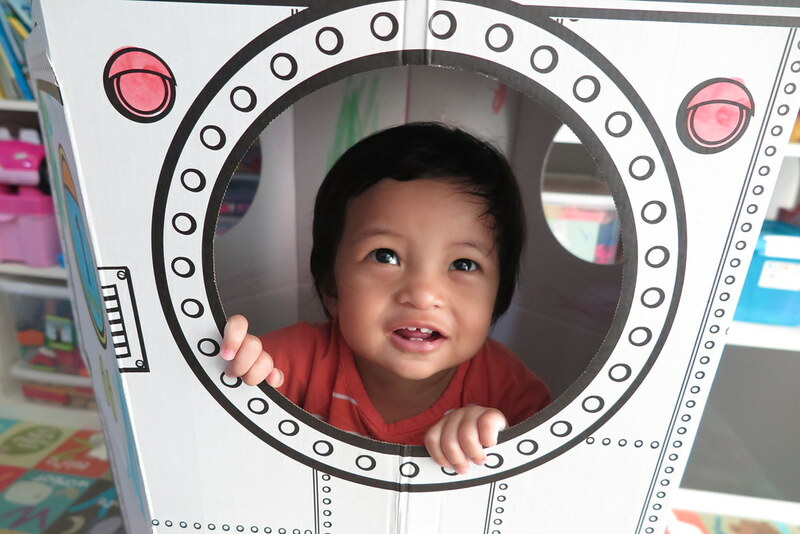 This cardboard Rocket and other playhouse designs are available for purchase online at http://www.myplayhaus.com. And they are having a promotional 35% off regular price this christmas for all their playhouses! The Loving Mum highly recommend this as a Christmas gift for families with kids age 3 and above. Great activity for all ages. 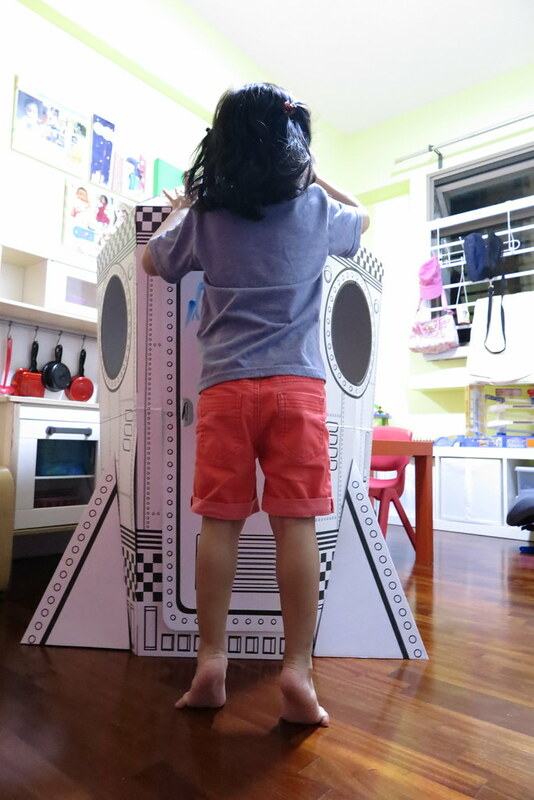 For our #TLMGiftaway, we have picked a receiver of this awesome fun cardboard Rocket! Congrats to Cynthia Lau! We will be in touch with you soon via email.